Following the Empire Settlement Act, 1922 and the provision of reduced or free passages, training for farm work was offered through training farms in England, Scotland, and Northern Ireland and the dominions, and through a system of apprenticeship with dominion farmers. Child and juvenile migration to New Zealand took place on a much smaller scale than in the case of Australia and Canada, but there were several distinctive schemes. In 1923 the New Zealand Government entered into a scheme involving the New Zealand Farmers’ Union and the Taranaki Chamber of Commerce under which a limited number of boys from public schools would proceed to New Zealand to be trained in farm-work with a view to subsequent settlement on the land. To be eligible, the boys had to be aged 16 to 20 years, of British birth, good character and physique, and students of a public or secondary school. The first parties under this scheme began arriving in 1924. The government also extended assisted passages to the New Zealand Sheepowners’ Acknowledgment of Debt to British Seamen Fund. The Flock House scheme, funded by a small proportion of the dominion’s sheep farmers, was established to train as farmers the sons and (from 1925) daughters of British seamen killed or wounded during the Great War. Most of the trainees (over 80 per cent) were drawn from England – from sea-faring families in the ports of South Shields, Hull, Devonport, Grimsby, Lowestoft, London, and Portsmouth – and the balance from Scotland, notably Glasgow and Aberdeen. 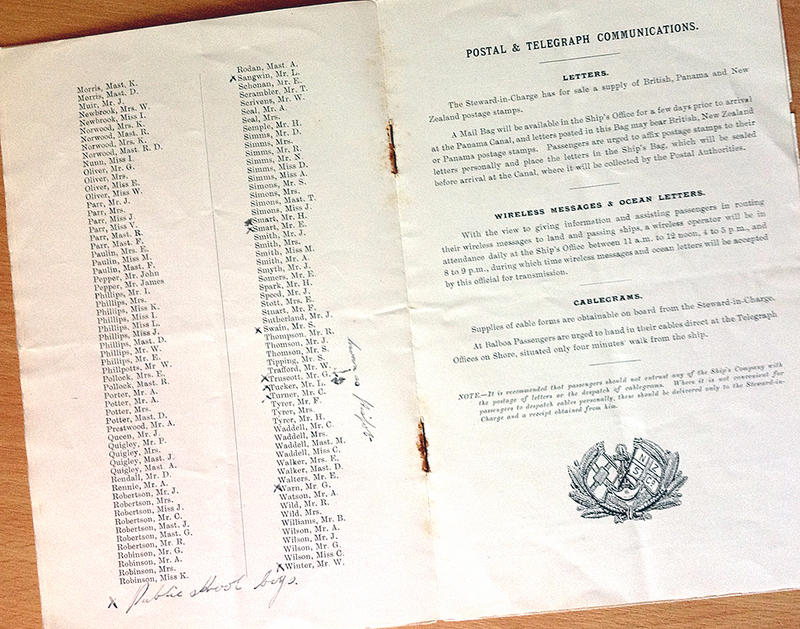 By the end of March 1927, 1 400 juveniles had emigrated to New Zealand under a variety of land schemes, among them the public and secondary school boys’ scheme (630), the Salvation Army scheme involving a training farm for boys at Putaruru (403), Flock House (266 males and 26 females), the Fellowship of British Empire Exhibition Scholarship at Ruakura State Farm (12), and the Church of England (53). Their presence among the assisted immigrants was apparent in the dominance of males in the 15-20 age group. By the end of March 1927, too, several of those who had emigrated under the public and secondary school boys’ scheme had purchased farms of their own, while several parents and families had followed their sons to take up permanent residence in New Zealand. In 1927, Marriott noted that the more than 500 boys had emigrated to New Zealand and had been placed with farmers since inauguration of the scheme in 1924 and that they represented 121 schools, including Charterhouse, Wellington, Marlborough, Cheltenham, and Fettes, with Christ’s Hospital making the largest contribution. 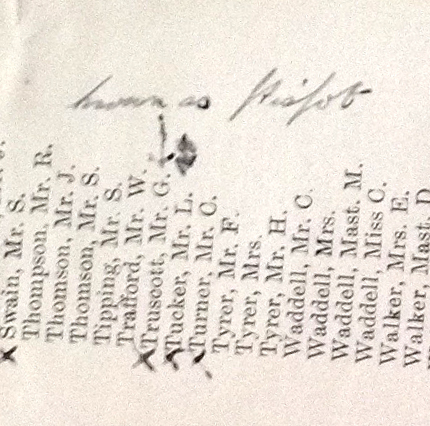 Here are the 19 Public school boys from the Passenger List (they are marked with an asterisk in the actual list, where they are shown in alphabetical order with the other passengers. There is a margin note written by the name of one boy which I can’t read. I have included it here. My guess is that it is a nickname and that it says “known as” and then another word which I can’t read. This entry was posted in Rimutaka and tagged Rimutaka on 01/07/2016 by printerspie.